A test of endurance through the mud brought many challenge-seekers to Chattahoochee Hills for one spring weekend. The nation will now see how well competitors did next month on CBS. Tough Mudder, a 10-mile course with more than twenty obstacles designed to test teamwork, mental grit and stamina, was hosted at Bouckaert's Farm this past April. CBS Sports film crews were on hand, in the south metro Atlanta city, documenting the 8-hour grueling quest for glory. The entire race took place under cover of darkness, and the top male and female finishers took home a $5,000 cash prize. Tough Mudder Chattahoochee Hills served as a qualifying round for World's Toughest Mudder; a 24-hour physically demanding race featuring contestants from around the world, and a purse of $10,000 to the winner. Former British counter terrorism officer Will Dean, Co-Founder and CEO of Tough Mudder, Inc., calls the course "the ultimate race in sports." 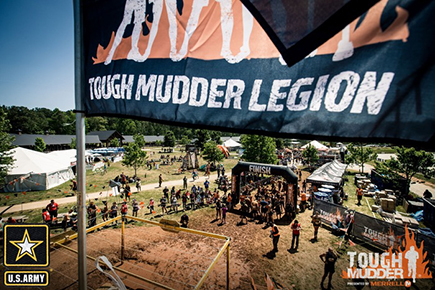 Tough Mudder Chattahoochee Hills airs Sunday, July 30, from 1:00PM to 2:00 PM Eastern, on the CBS television network.